Limit 1 per person and 1 per table. Valid on any food on the menu. Excludes alcohol. Available after 5 p.m. only. Promotional value expires 365 days after purchase. Advertising solicitation prohibited. Chips and salsa are staple items for football parties, impromptu get-togethers and world snack championships. 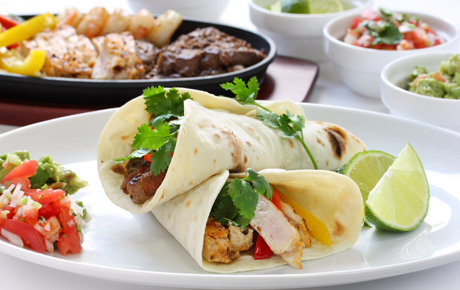 Root for this match made in heaven with this deal for 50% off Mexican cuisine from El Toro Mexican Restaurant in Elkhorn ($20 value). In business for one year, El Toro has already established itself as a local foodie hotspot. The warm, colorful ambience makes for a fun and friendly dining experience. El Toro serves traditional favorites as well as many authentic specialty dishes. Try the piña rellena, a half-pineapple with beef, shrimp, chicken and ranchera sauce, or opt for classics like fajitas, burritos and chimichangas. Plus, all meals are served with fresh chips and salsa to get the fiesta started. El Toro also features a full-service bar that serves up specialty margaritas, and they provide live music entertainment nightly.